Do Boston Cream Pie Cupcakes Need Refrigeration Once Made? 2 Do Boston Cream Pie Cupcakes Need Refrigeration Once Made? "Weeping" (or "sweating") is the term that's used to describe the liquid that forms between a meringue topping and the pie's filling after it's been baked. 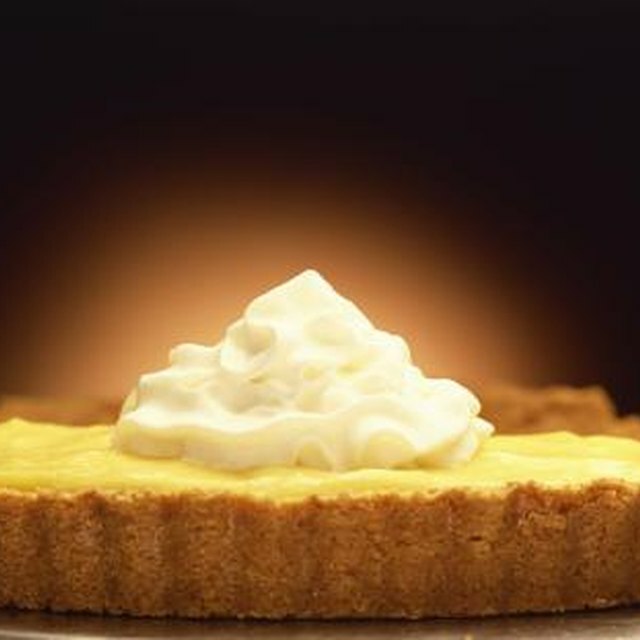 The moisture seeps out when the pie is cut, or it may form beads on the meringue. If a pie is made properly, the appearance of weeping can be minimized. Follow a meringue recipe that contains cornstarch. The starch will thicken it and absorb moisture. Use very fine sugar in the meringue so it properly dissolves. Undissolved sugar can cause sweating. Sift your sugar before adding it to the recipe. Sprinkle very small cake crumbs on the pie filling before adding the meringue. They will also absorb moisture. Top the pie with the meringue while the filling is still hot. The heat will help cook the topping from underneath. When you spread the meringue, cover the top of the pie to the edge of the crust. This forms a seal that will minimize weeping. Avoid overbaking the pie. Moisture is produced when egg whites are overcooked. Serve the dessert as soon as possible. Meringue pies only last a few days, and any humidity that's present in the room will break down the topping. Store the pie in a covered dish at room temperature. Do not refrigerate the dessert because the cold will create condensation. Can You Substitute Cornstarch for Flour? How Do You Know When a Pumpkin Pie Is Set? Do You Remove the Skin When Cooking Chicken & Dumplings With a Whole Chicken?